Our pediatric dental office offers a comprehensive list of procedures that will keep your child's smile healthy for a life time. Below are just some of the many procedures and services we regularly provide with a gentle caring touch and beautiful results. 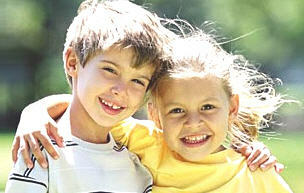 Your child's dental health is our first priority. If you have any questions, concerns, or would like to schedule an appointment for your child in our children's dental office, please contact our Alexandria pediatric dental office today @ 703-922-4000 to schedule your child's appointment online.